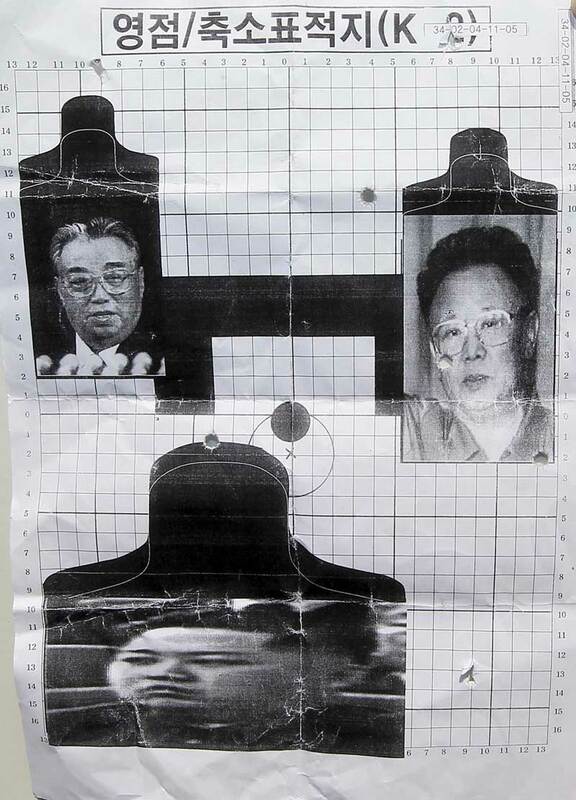 South Korea will tell army training centres to stop using pictures of North Korean leader Kim Jong-Il and his son as targets on rifle ranges, the defence ministry said. Pretty funny that the Army was actually using targets like the one pictured. I like the idea, but when stuff like that leaks it obviously does nothing good for already rocky relationships. Smart move defence ministry. Smart move. How barbarous! Don’t these unenlightened members of the military industrial complex realize that murderous dictators have feelings, too? How hurtful! How abusive! Violence is certainly never the answer! When will these backwards, democratic republics with their dangerously under regulated economies stop discriminating against genocidal regimes? If I can order a pallet, these will be gold a gun shows. Still waiting for the release of the WW2 m-1 Garands and 30 Carbine rifles form South Korea that Klit-ton blocked and President Evil blocked.